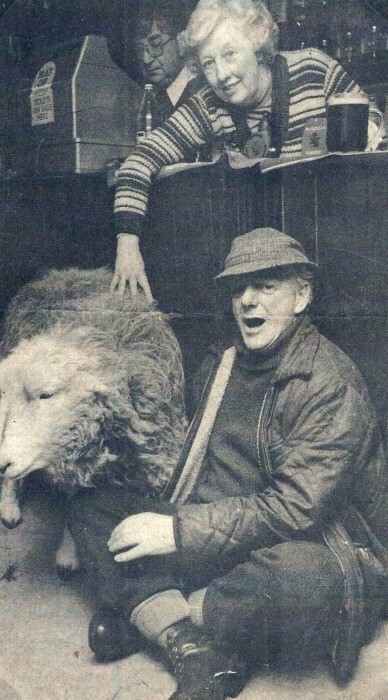 Articles about the White Hart; also a newspaper cutting and photo about a sheep, Spiby, which used to be taken into the pub on a lead! There has been a White Hart in Wheatley since at least 1612, but the building which we are now looking at was the last location of an inn with this name, this being built probably sometime in the first half of the 19th century and closed in 1999. The clubroom, now recently developed as housing, was the meeting place for the Morris Men. In the 1940s and 1950s, two of the Landlords were Mr Highfield and Arthur Vale. 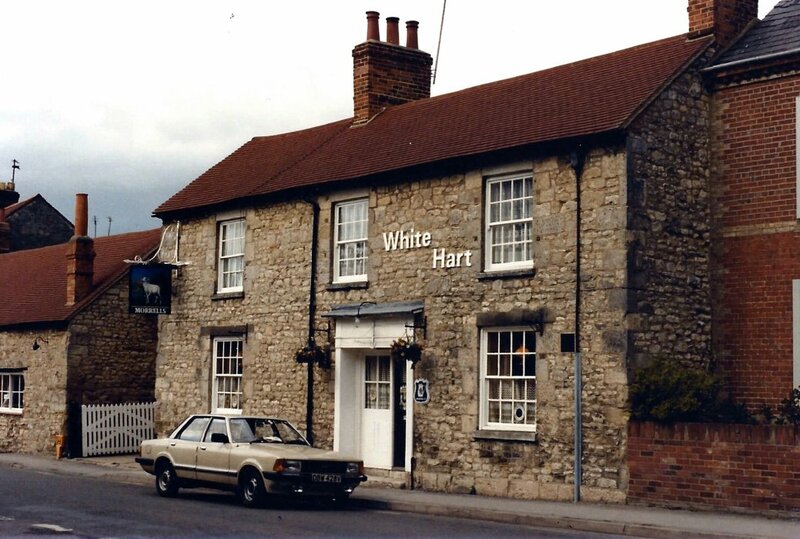 Also photo of White Hart in 1989. Not included is an image of the old White Hart, Wheatley, 1822, drawn by James Buckler and held at the Bodleian Library under reference Ms Top Oxon a69 folios 587-9 which includes a sketch of The Manor and the Chapel of Ease. The signboard names the landlord as George Crookes. Buckler also sketched the Manor House and 1795 chapel on Bell Lane. (Bodleian Library, University of Oxford, MS Top Oxon a.69, fol. 588). There is another sketch by R C Buckler also held at Bodleian Ms Top Gen a11 as well as one of the Manor, folios 546 and 549, which can only be seen at the Bodleian. It is probable that the White Hart burned down soon after these sketches were made as George Crookes was only noted as landlord until 1822 with, thereafter, a considerable gap under the mid 1840s.